If the US attacks Syrian government forces, Damascus will respond with a retaliatory strike against American installations in Syria, Salem Zahran, Lebanese political scientist and the head of Beirut-based Media Focal Center, told Sputnik Arabic. "Ordinary people in Damascus disregard the numerous threats from the US, life goes on its usual way," Zahran said. "But at the state level, [Syrian] officials and the military are mulling over two main scenarios of a [potential] attack against Syria. First, it could be a missile strike after the [upcoming] meeting between Saudi Crown Prince [Muhammad bin Salman] and US President [Donald Trump]." Zahran recalled that the US Tomahawk attack on the Syrian Air Force's Shayrat airfield on April 7, 2017 followed the Trump-Salman summit. "In this case, the Syrian retaliatory strike will not be directed against the forces of Daesh (ISIS/ISIL)* or al-Nusra Front*, but will target the American bases in Syria. They have already been marked on maps as possible targets for an attack," the political scientist underscored. On the other hand, the Syrian leadership expects the intensification of psychological and information warfare against Syria on the part of the West, Zahran noted, adding that President Bashar al-Assad's visit to Eastern Ghouta was a preemptive measure against these sorts of attacks. As for the possibility of an Israeli military aggression against Syria, the political observer suggested that Tel Aviv "may take part in the war under three scenarios": First, it may join the US-led military campaign; second, the Israelis could attack Syria as part of a NATO operation; third, they may step in if some Arab countries' officials support the invasion. "I do not think that Israel will unleash a war [on Syria] on its own," Zahran presumed. 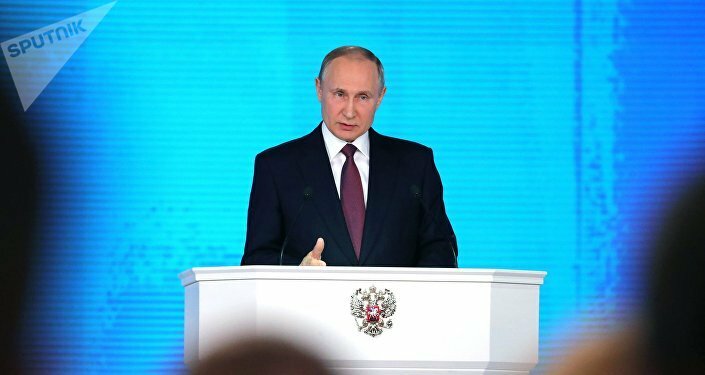 Additionally, the political scientist emphasized Moscow's role in countering Washington's possible aggression: "Today, Russia writes the history, restores the balance on the global political arena. The American unipolarity is becoming a thing of the past," he emphasized. Meanwhile, Crown Prince Muhammad bin Salman arrived in Washington on an official visit and met with Donald Trump on March 20. It is believed that the meeting may seriously affect the situation in Syria and the entire Middle East. Previously, US Ambassador to the United Nations Nikki Haley signaled that the US was prepared to launch a second attack against Syrian government forces over their alleged use of chemical weapons. 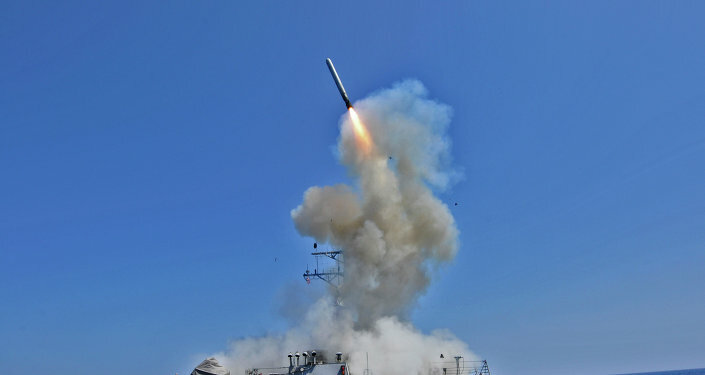 Nearly a year ago Trump authorized a Tomahawk strike against the SAA's airfield, which was preceded by a purported chemical attack in Khan Shaykhun. However, Washington failed to present any evidence of the SAA's involvement in the alleged attack. In response, Moscow called upon Washington to abandon its plan to attack Syrian government forces. "We've warned and warned the US that these plans must be unconditionally refused. Any such unlawful use of force, similar to what happened almost a year ago at the Shayrat air base, would be an act of aggression against a sovereign state, as defined by the relevant article of the UN Charter," Russian Deputy Foreign Minister Sergei Ryabkov told journalists Tuesday. Earlier, Russian Foreign Minister Lavrov denounced the US threats to conduct a unilateral strike on Syria and Damascus as "unacceptable" and "inadmissible." The minister highlighted that the possible attack will be as unjustified as Washington's April Tomahawk strike on Shayrat. "[We] have clearly said that to US representatives via diplomatic and military channels," Lavrov stressed. *Daesh (ISIS/ISIL) and al-Nusra Front are terrorist groups banned in Russia.